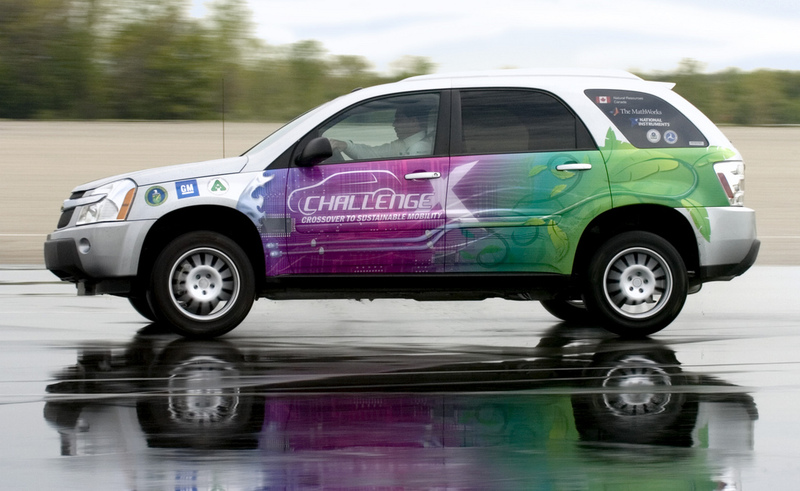 The groundbreaking four-year competition (2004-2008) gave 17 universities in North America an opportunity to participate in hands-on research and development with leading-edge automotive propulsion, fuels, materials, and emissions-control technologies. 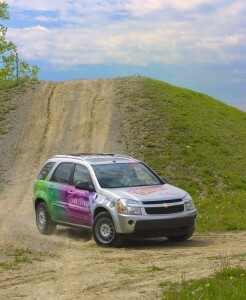 During the competition, students were challenged to re-engineer a 2005 Chevrolet Equinox to minimize energy consumption, emissions, and greenhouse gases while maintaining or exceeding the stock vehicle’s utility and performance. 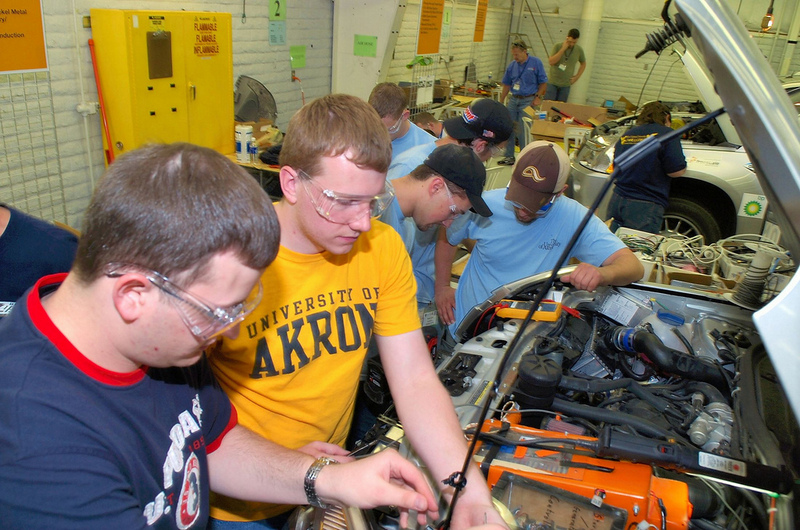 Using a development process modeled after GM’s Vehicle Development Process, teams gained valuable experience in real-world engineering practices. Participating teams were provided with a variety of resources to help achieve their objectives, including technical support and mentoring from General Motors and other sponsors. Each team also received $10,000 in seed money and were eligible to receive additional production parts, software, and hardware from competition-level sponsors. 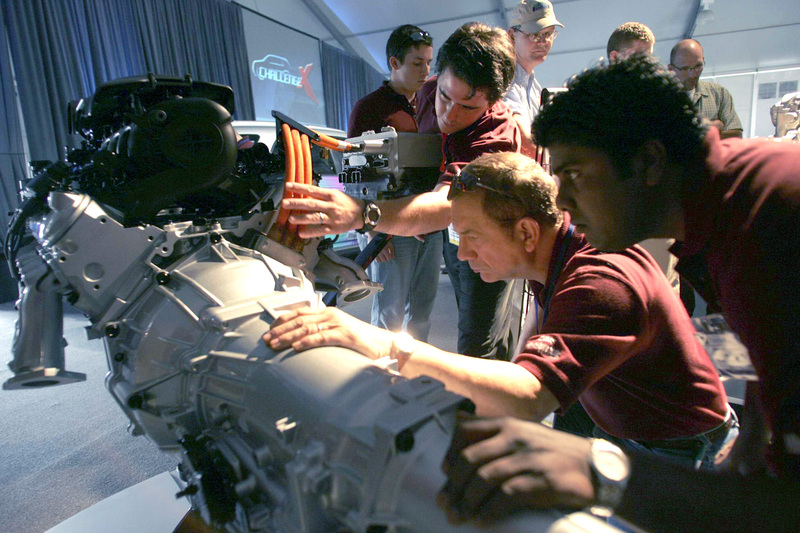 Year One (2004-2005) focused on modeling, simulation, and testing of the advanced powertrain and vehicle subsystems selected by each school. Students used computer-based math modeling tools to objectively compare and select the advanced technologies to be used for their overall design. Teams also developed and used rapid prototyping and hardware-in-the-loop (HIL) tools to validate their models and control systems. 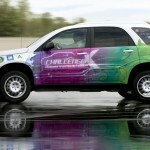 The Year One competition was held at GM University and GM’s Milford Proving Grounds, where teams showcased their design efforts. 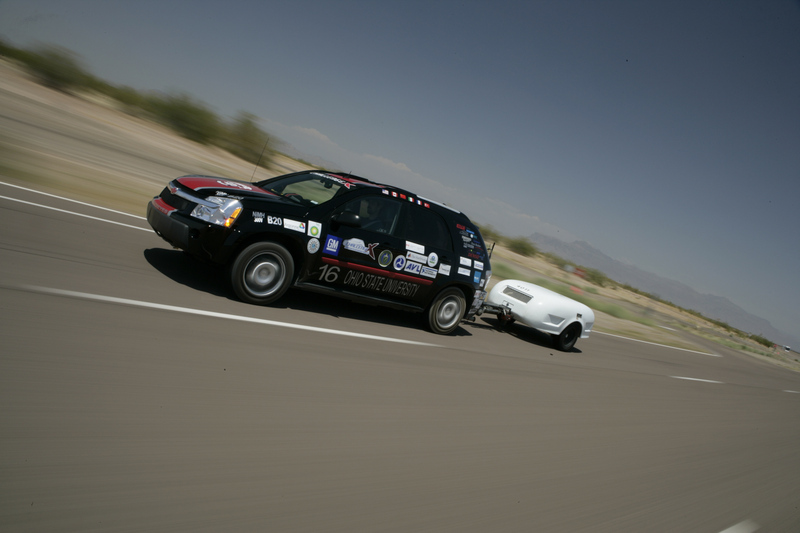 During Year Two (2005-2006), teams developed and integrated their advanced powertrain and subsystems into the donated vehicle. This year was often dubbed the ‘mule’ vehicle build year since teams had to get to a 65% buy-off stage. 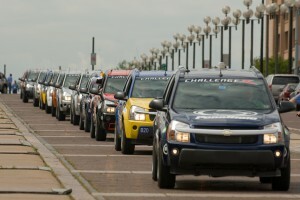 The year-end competition was held at General Motors Desert Proving Grounds in Mesa, Arizona and featured an extensive set of vehicle dynamic events including braking, handling, acceleration, fuel economy, drive quality, and trailer towing performance. Teams were also judged through technical design presentations and written reports. In Year Three (2006-2007), teams had to refine their advanced vehicles into a showroom-ready vehicle. At the end of the academic year, teams traveled to General Motors Milford Proving Grounds in Milford, Michigan for dynamic vehicle testing. Much like in Year Two, teams had the chance to compete in several dynamic events like braking, accelerating, dynamic handling, and drive quality. 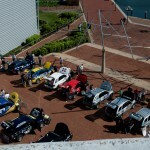 The awards ceremony was held at General Motors Renaissance Center in downtown Detroit, Michigan. 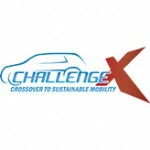 The fourth and final year of Challenge X (2007-2008) featured additional refinement, as well as expansive outreach and media efforts throughout the community. The year began with a road rally through Los Angeles and a ride and drive at the Electric Vehicle Symposium 23 in Anaheim, CA in November 2007. In addition, teams showed off their vehicles to Jay Leno at his garage in Burbank, CA. Teams then had several months to refine their vehicle before taking part in vehicle testing at the Old Bridge Township Raceway in Englishtown, New Jersey in May 2008. 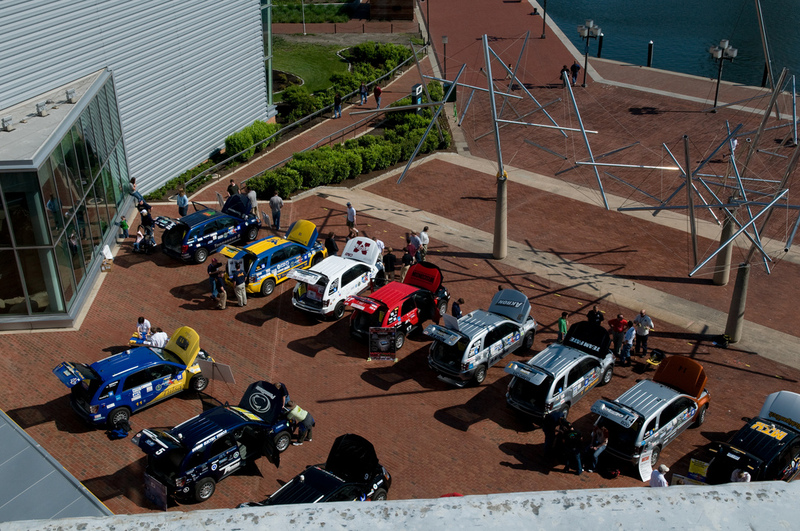 After testing, teams began a three-day East Coast Road Rally, which began in New York City with a media event. Teams then made a stop in Baltimore for an education day, and then concluded at the U.S. Department of Energy in Washington, D.C. Throughout the four years, students developed a strong understanding of advanced vehicle technologies that prepare them to become highly skilled engineers in the automotive industry and remain competitive in the global marketplace.